Line 6 Relay G10S - "Unbelievable clarity that releases your tone"
Ibiza Sound Amp 300 - "Posetively surprised by "peanut money" Ibiza AMP300 (professional power amplifier)!" HK Audio D.A.R.T - "Good Quality monitor"
RCF SUB 705-AS - "Excellent product RCF SUB 705-AS"
Shure WH20XLR - "GREAT SPORTSCASTING MIC!" 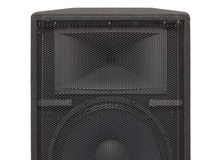 JBL EON 315 - "JBL EON"
Dynacord PowerMate 1600 - "Superb Quality but Terrible Customer Support"
Master Audio X210 array series - "You need to hear it to believe it!"